We Singaporeans sure love our social media. Unfortunately, the same can’t be said about many of our companies. 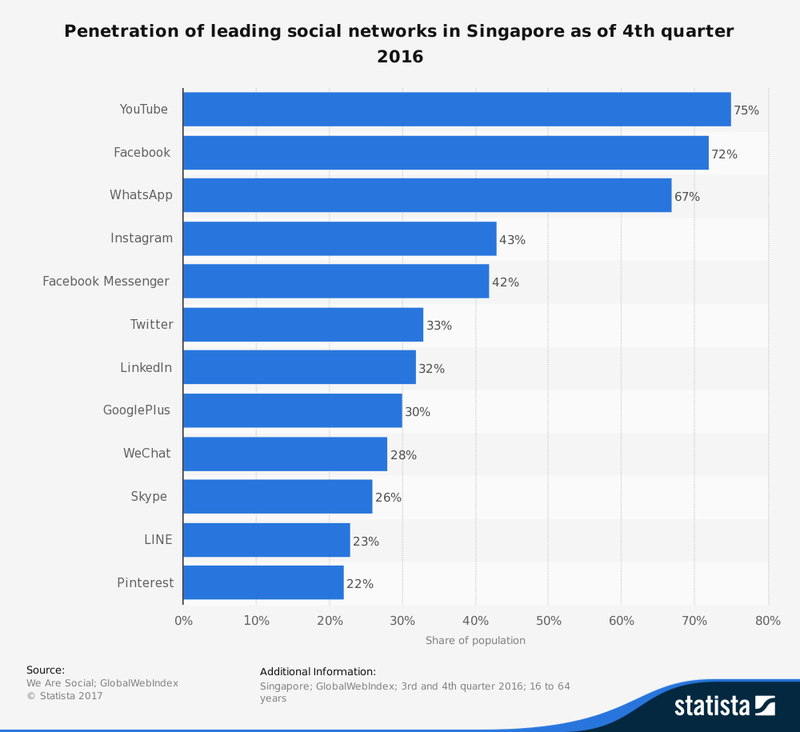 According to reports by We are Social, Singaporeans spend an average of about 6 hours and 40 minutes a day online. Much of it was spent on social media, with social networks like YouTube, Facebook, Whatsapp, Instagram, and others dominating our devices. Riding on the growth in the popularity of social media, numerous brands have started their own Facebook pages, Instagram accounts and YouTube channels. Major brands like McDonald’s, Singtel, DBS Bank, and Singapore Airlines have dedicated social media teams managing and monitoring their accounts – virtually 24/7. While these leading brands have used social media as an effective channel to grow their brand awareness, engage customers, and improve conversions, the majority of companies are still lagging behind. Often, these companies are hamstrung by their lack of knowledge and experience in social media marketing – be they large organisations, SMEs, or startups. This is where outsourcing comes in. By working with a social media marketing agency, you can benefit from their experience, ride on their expertise, and save yourself from making silly mistakes. 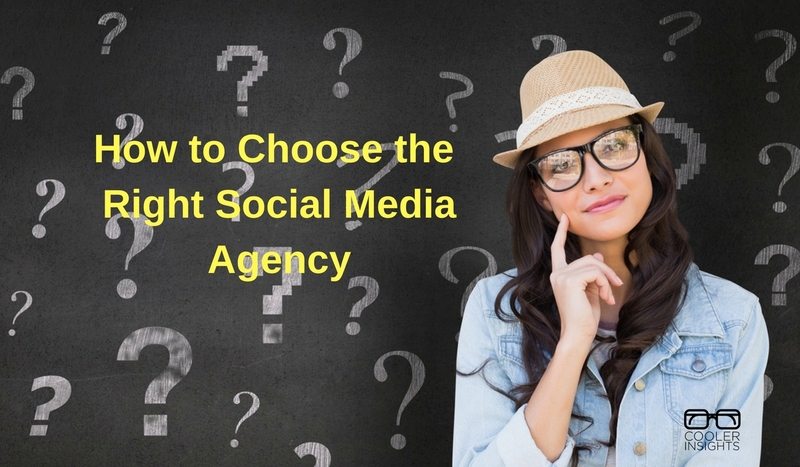 However, how do you choose the right social media agency to work with? Experience on social media is great. However, should you hire a veteran blogger or YouTuber to handle your social media accounts? From my experience, I found that talented bloggers or Instagrammers may not be the best persons to produce content for a brand. While their particular styles may attract legions of fans, they may not suit the needs of your organisation. Does the agency’s portfolio demonstrate sufficient breadth and width of content expertise? Does the agency have the right talents or associates to produce blog posts, images, infographics, videos, and other forms of content? Does the content produced by the agency excite you? Will they trigger the right actions from your customers? Beyond looking at content quality and fit, you’ll need to also consider the numbers. Yes, social media marketing isn’t just about creating the most viral video you can pay for – its also about generating results. Social media marketing does not exist in a vacuum. A good agency should be able to help you to achieve your marketing goals and objectives beyond growing your Facebook fan base, or improving engagement on each post. Trust and reputation are important qualities for a social media agency to have. You do want to make sure that your agency has the right ethics and practices positive codes of conduct. Are your agency reps upfront with you about their strengths and limitations? Are they willing to share how their previous projects fared? Are there any negative buzz surrounding their work? Or their clients? Are the agency bosses known within the industry for what they do? Last but certainly not least, you need to work with an agency that you can click with. Values and ethics of the agency. For example, how do they treat the use of intellectual property? Openness and transparency. Are they willing to alert you to any issues as soon as it happens? Working style. Do you enjoy working with the individuals there? Or do you find it a pain to do so? Humility and willingness to learn. Are they keen to innovate and try out new tactics? Finding and hiring the right agency is hard work. While the above checklist of factors could help you to reduce uncertainty, they are not meant to be comprehensive. There are no perfect agencies out there. While some agencies may have a whole string of advertising awards and blue-chip clients, they would cost you an arm and a leg to hire. Other agencies may have exciting and innovative ideas, but they lack the ability to produce quality work. Instead of trying to find the perfect agency, you should try ways and means to be a good client. To do so, you should try to learn what you can about how social media works, which areas you could do inhouse, and where an agency’s expertise would fit in.